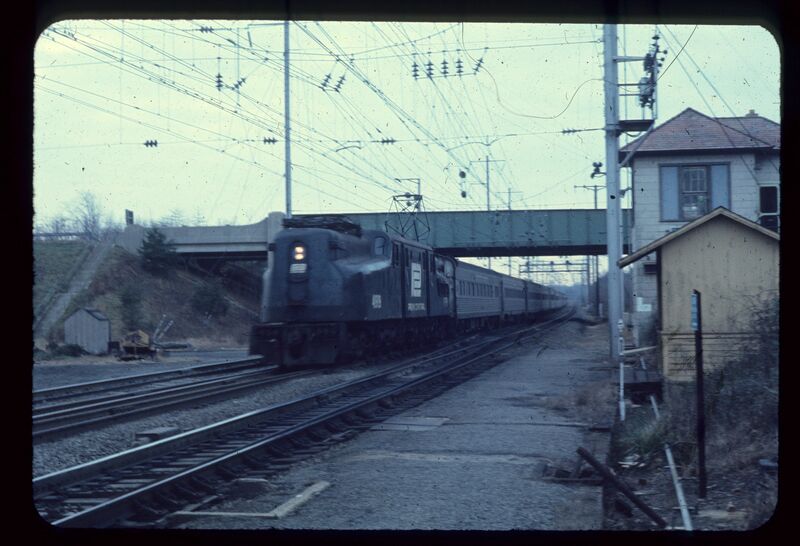 Additional Description: A GG-1 electric locomotive, still in its Penn Central Railroad colors, pulls a northbound Amtrak passenger train under the Landover Road (MD 202) overpass on the Northeast Corridor (former Pennsylvania Railroad). Train had departed Washington a few minutes earlier and was en route to Baltimore, Philadelphia and New York. The waiting room is at the extreme right in this photograph. Submitted: January 3, 2007, by Tom Fuchs of Greenbelt, Maryland.